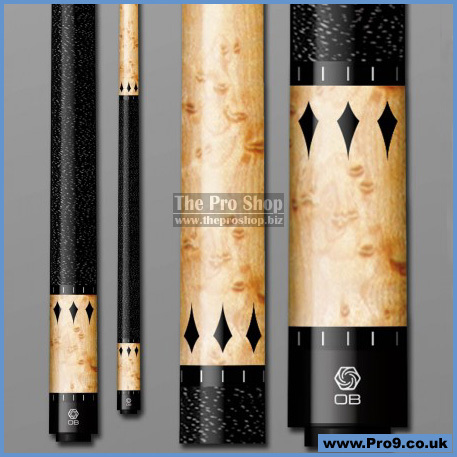 The OB-130 "8 of Diamonds" Pool Cue features a Birdseye Maple Forearm with 8 Scalloped Ebony Diamond Inlays, Irish Linen Wrap, Birdseye Maple Sleeve with 8 Scalloped Ebony Diamond Inlays. 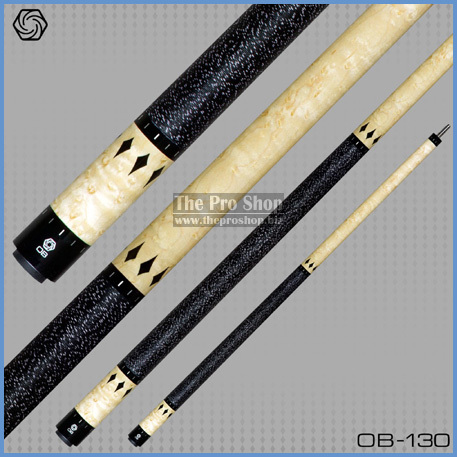 This cue also has a Straight Line Core (SLC). The SLC construction guarantees a cue that is Straighter, Stronger, more Stable and Stiffer. This means that your cue will be built straight, stay straight and hit great.